1.1 A great feature of the Samsung Galaxy S7 and the S7 Edge is its full support use with Samsung Pay. This app can take in as many as 10 credit cards and store the card information and encryption right inside your smartphone. Convenient, isn’t it? Here’s how to set it up. A great feature of the Samsung Galaxy S7 and the S7 Edge is its full support use with Samsung Pay. This app can take in as many as 10 credit cards and store the card information and encryption right inside your smartphone. Convenient, isn’t it? Here’s how to set it up. Your credit card (know if your card can work with Samsung pay from your financial institution). 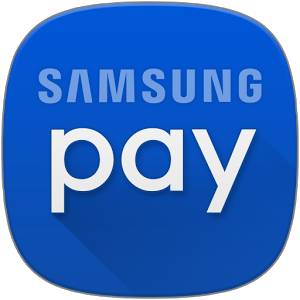 Sign in to your Samsung account to login to Samsung Pay. Select USE FINGERPRINT and if you haven’t set up your fingerprint security yet, put your finger on the home key and let it scan your print until it’s done. When prompted to enter your backup password, fill it up for added security. Create and enter your 4-digit Samsung Pay Pin. Remember this at all times. To encode your credit or debit card into your Samsung smartphone, use the camera to take a photo of your card and account number. Samsung Pay can accommodate up to 10 cards with a single device. Manually enter your card info, then tap NEXT. If problems are encountered, contact your bank or financial institutions for assistance. To validate your card, you can call, text or email your bank for a secure one-time password so you can use Samsung Pay. This is the one you received from your bank. Enter it. Tap DONE.